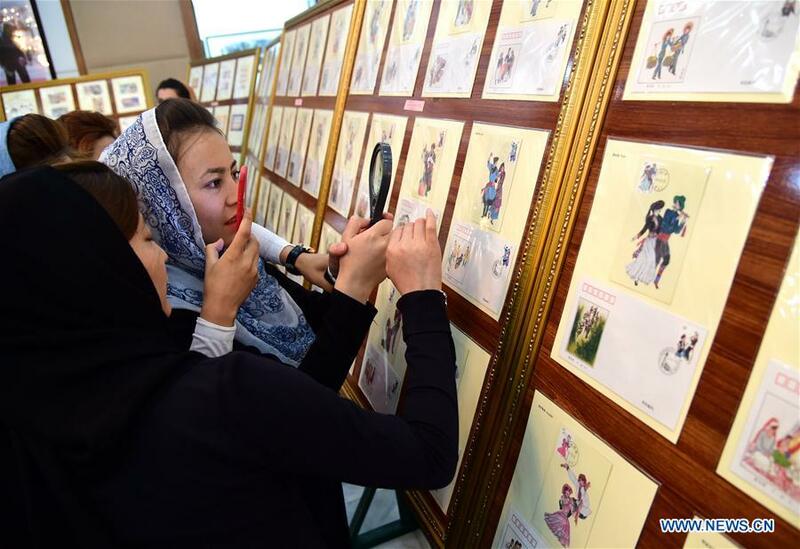 An Afghan-Chinese post stamp exhibition was held in Kabul, capital of Afghanistan, with a wide range of rare and traditional stamps from the two neighboring counties. The event, named "China-Afghanistan Joint Post Stamp Exhibition," was held on Tuesday in the Chinese embassy in Kabul to mark the World Post Day which falls on Oct. 9 every year. "Afghanistan and China have huge potential for cooperation in the fields of telecommunication and information technology," Afghan Minister of Telecommunication and Information Technology Shahzad Aryoubee told the visitors. The joint stamp exhibition would further improve relationship in the field of telecommunication and post between the two friendly countries, he said. "Afghanistan and China, for the first time issued a joint post stamp in 2005, but more efforts are needed to improve exchange of cultural, telecommunication and trade relations and improve friendship between the two sides," he said. "Today is World Post Day... The postal service, the letterhead and the stamps have not disappeared, but they have changed their forms. Because people need to communicate with each other, friendship is needed between countries," Chinese Ambassador to Afghanistan Liu Jinsong said. Several Afghan officials and Kabul University teachers and students were among the visitors in the one-day display.